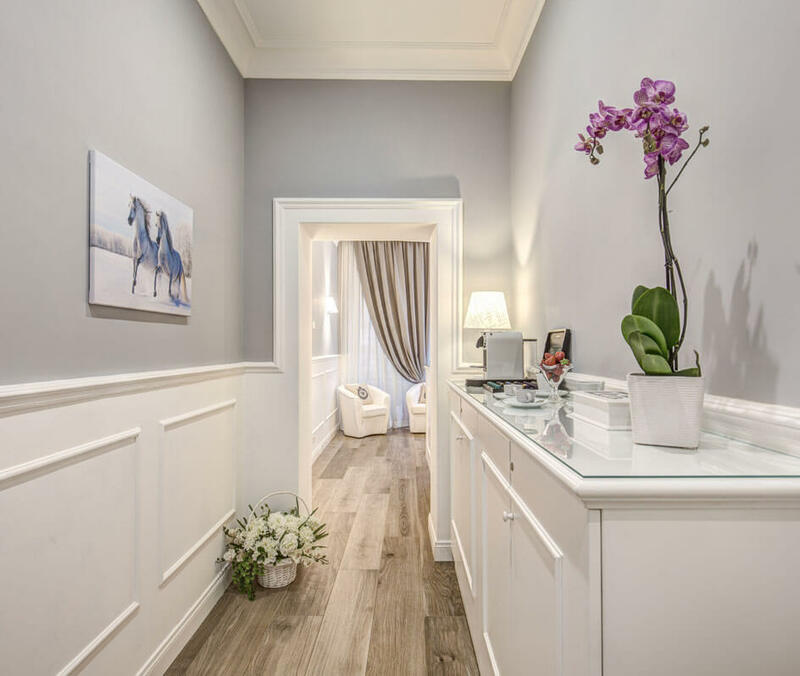 Piazza di Spagna Suites Rome has just two private and sublime luxury suites on offer with a shared living space in between where you’ll also find our reception desk. 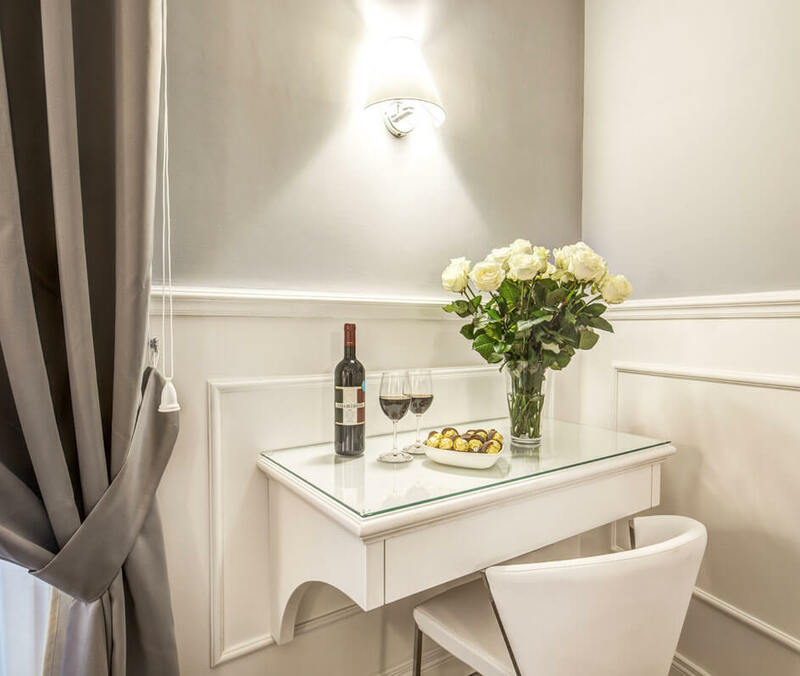 The whole property may be rented out by two couples or each suite may be taken independently. In each case, each suite is self contained with its own luxurious en suite bathroom ensuring maximum comfort and privacy. 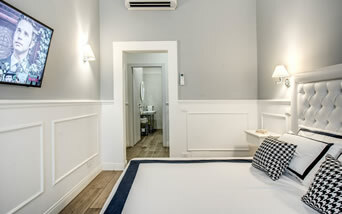 The entire property is air-conditioned and is covered by Wi-Fi included in the rate. 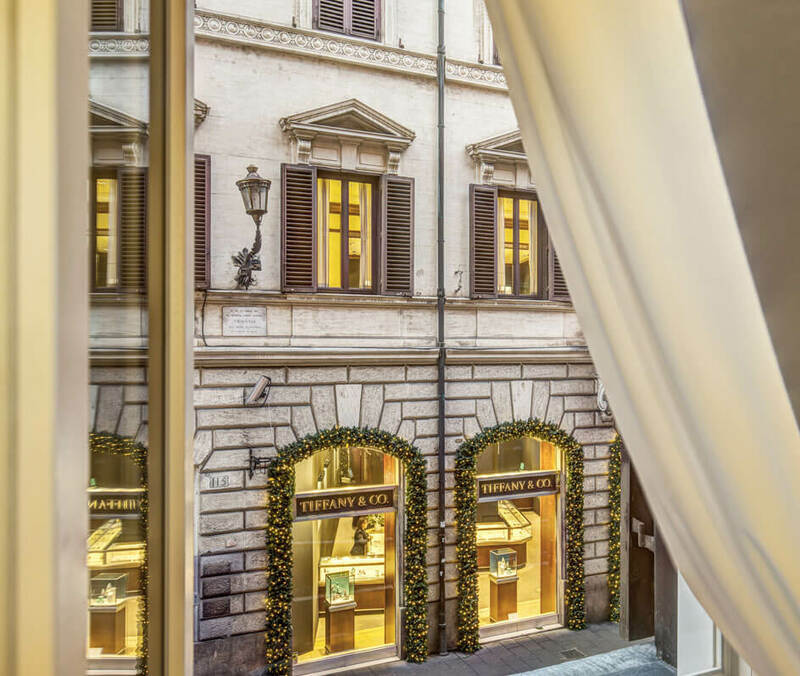 The sublime interior design of the Piazza di Spagna Guest House is one of calm and security, with the Roman heat, noise and chaos locked out behind secure and soundproof doors and windows. In the rooms, the white minimalist theme combined with the cool tiled or marble floor is both serene and evocative. 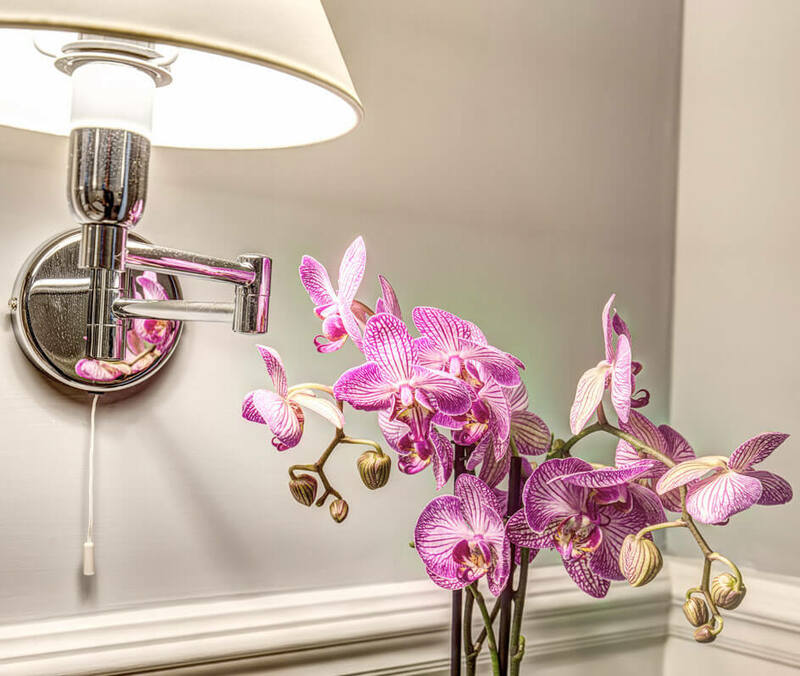 Our spacious suites are 33 square metres in area - that’s around 350 square feet - and the spacious bathrooms come with bath or shower and bidet as well as a full courtesy line of toiletries, towels, robes and slippers. 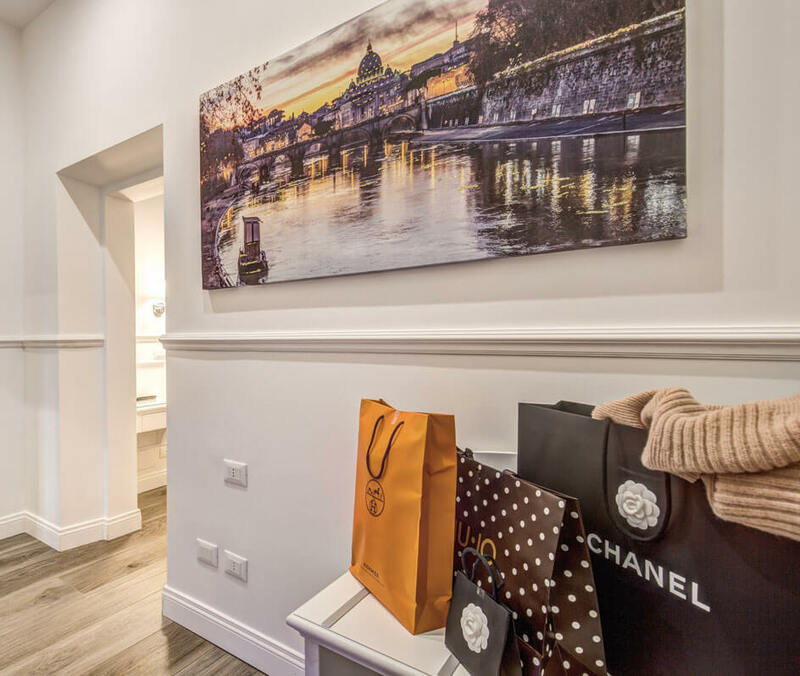 Our luxury suites here at Piazza di Spagna Suites Rome are each fitted with extra large beds, with hypoallergenic linens, a flat screen LCD TV with satellite options, mini-bar, document safe, kettle and coffee machine, wardrobe, clothes rack and closet. 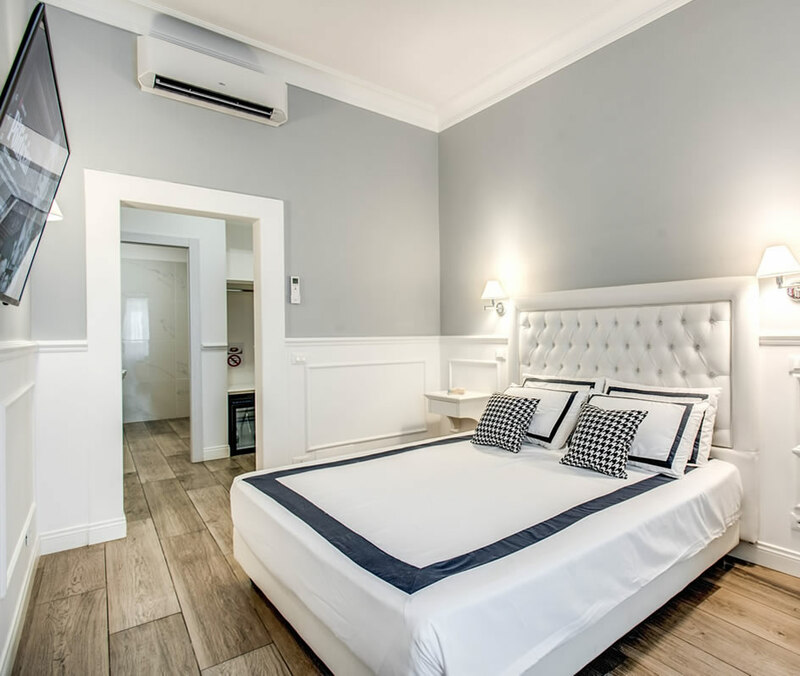 Although we’re unable to offer a breakfast option, our fantastic location on Piazza di Spagna means you’re not short of options for breakfast within a stone’s throw of our exclusive warm and cosy Rome guest house. Speak to our staff for advice and bookings. 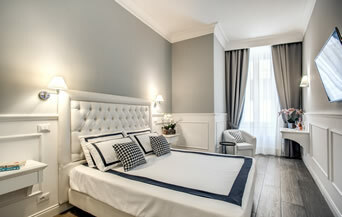 Take a good look around at the Piazza di Spagna Suites luxury accommodation in the heart of Rome.